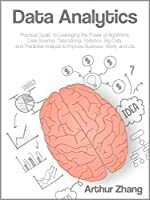 Compositional Data Analysis in Practice is a user-oriented practical guide to the analysis of data with the property of a constant sum, for example percentages adding up to 100%. Compositional data can give misleading results if regular statistical methods are applied, and are best analysed by first transforming them to logarithms of ratios. 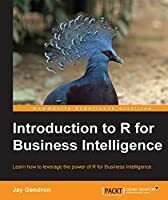 This book explains how this transformation affects the analysis, results and interpretation of this very special type of data. All aspects of compositional data analysis are considered: visualization, modelling, dimension-reduction, clustering and variable selection, with many examples in the fields of food science, archaeology, sociology and biochemistry, and a final chapter containing a complete case study using fatty acid compositions in ecology. The applicability of these methods extends to other fields such as linguistics, geochemistry, marketing, economics and finance. The following repository contains data files and R scripts from the book https://github.com/michaelgreenacre/CODAinPractice . The R package easyCODA, which accompanies this book, is available on CRAN -- note that you should have version 0.25 or higher. The latest version of the package will always be available on R-Forge and can be installed from R with this instruction: install.packages("easyCODA", repos="http://R-Forge.R-project.org").